Party convenor of Amethi Lok Sabha seat, Rajesh Agrahari, said Ms Irani will be addressing a Kisan Rally in Parshedpur under the Amethi parliamentary constituency. Smriti Irani is the BJP's candidate for Amethi this time again. 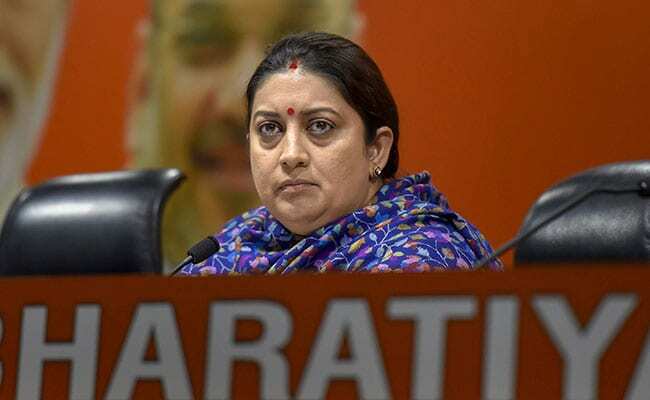 Union Textiles minister and BJP leader Smriti Irani will begin on Thursday a two-day visit to Amethi, the Lok Sabha constituency of Congress chief Rahul Gandhi. Ms Irani is the BJP's candidate for Amethi this time again. In the 2014 Lok Sabha elections, Mr Gandhi had defeated Ms Irani by a margin of over 1.07 lakh votes, retaining the Amethi seat.